There are times when you have no choice but to put the family pet into a kennel or cattery. Be prepared for if this should happen by researching what is available and have an idea of prices – just in case of emergency. Like good holiday destinations the best kennels and catteries are booked up very quickly. If you book your holiday in January and you know that the family pets are not going with you book their accommodation at the same time. Ensure that your pet’s booster injections are up to date and have the record cards ready to show the kennel or cattery owner. If you have lost the documents ask your vet for a copy as your pet may not be admitted to the kennel without proof of his vaccination history. If you pet is on any drugs remember to take them with you when booking him in. Also give the kennel or cattery owner details of the type of food he eats. If it is a specialised diet arrange to take along enough for his stay and discuss a discount on the daily boarding rate as you are supplying your own feed. There are large boarding kennels that will take dogs and cats – this is ideal if you have both types of pet, as it will save a car journey when booking them in. There are also small family concerns that take no more than about ten animals at a time where the pets are treated very much as a member of the family. The choice is yours. All kennels and catteries are registered with their local council and have to be inspected and certified to be able to take residents. In a boarding kennels the dogs should be walked each day or at least allowed to run in a communal area. If you are worried about your dog mixing with others tell the kennel owner that you do not want your pet mixing with others. If you have two dogs it may be possible for them to have a joint kennel. 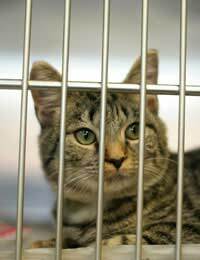 Cats, on the other hand, are boarded separately and never mix with other cats. Speak to friends, neighbours and work colleagues as they may have used a local kennel and be able to advise you on your choice. Your vet will also know of approved kennels in the area. If you are unsure of where to take your pet ask to visit the kennels for an inspection. Most kennel owners are more than happy to show you around but remember there are times when they are very busy looking after the inmates. You could leave your cat or dog with family, a friend or neighbour. Would they want the responsibility of an animal for two weeks, could you trust them with your beloved pet? There are also companies that run a house-sitting scheme whereby someone will live in your home while you are away and also look after the family pets. For the smaller family pet you may find that your vet has boarding facilities or perhaps the pet shop where you purchased him? If you were not happy with the boarding kennel or cattery first write to the owner of the kennels and then copy the letter to the local council. Your comments will be used when they are reviewing the kennel owner's next licence application.